I'm an experienced, award winning, graphic/multichannel designer who has a passion for design and the power it has to deliver results and make a difference for clients and their products and services. I have over 15 years commercial experience working in a variety of creative agencies & marketing companies, big and small and I have created effective design & marketing work for many well-known clients across multiple channels including print, web, mobile, email & social. It's this vast experience which lets me produce only the most effective & creative design solutions that clients need. Some of the more well known brands I have worked on include Ikea, British Gas, Macdonald Hotels & Resorts, Quaker Oats, Santander, Virgin East Coast Rail, redspottedhanky.com and Highland Park Whisky, as well as a whole host of public sector clients, charities and smaller businesses. As an experienced commercial graphic designer, my work has been wide & varied - and covers design for just about anything & everything. I have produced design work across print, web, social & email marketing channels – you name it - I've probably done it. So whether it's branding, advertising, magazines, (indeed anything print related) or web-sites, responsive email campaigns or social media marketing - then I have the experience to produce outstanding work. This wide breadth of experience and multitude of skills enables me to offer as an individual the full range of capabilities that a high-quality design agency would offer. A small sample of my creative design work is in the portfolio section of this website to give a flavour of my work. 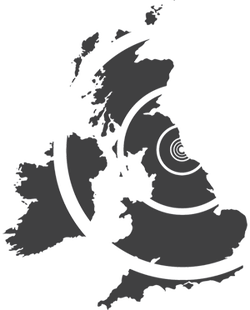 I'm based in the North-East of England, however in the internet age, geography is no boundary for who I have worked for and consequently I regulary work for clients across the UK, in Europe and the USA, and also the odd client further afield!